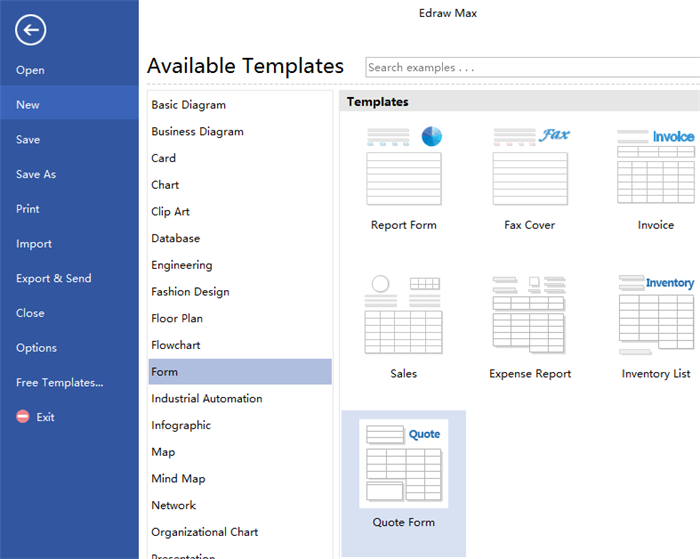 Edraw quotation form software for Linux simplifies and streamlines the form creation with editable symbols and templates. 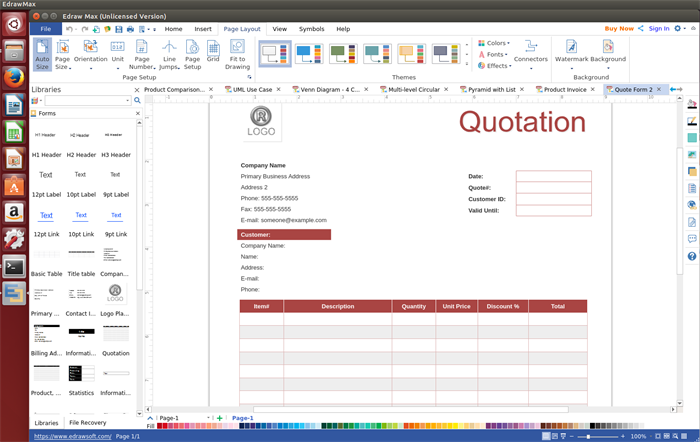 Edraw quotation form software makes it easy to create various beautiful quotation forms on Linux by offering abundant pre-made symbols and templates to drag & drop, allowing users to customize those elements to fit their own requirements and supporting importing & exporting common file formats to help users share conveniently. Effortless integration help reduce data entry and streamline your quote-to-order process too. 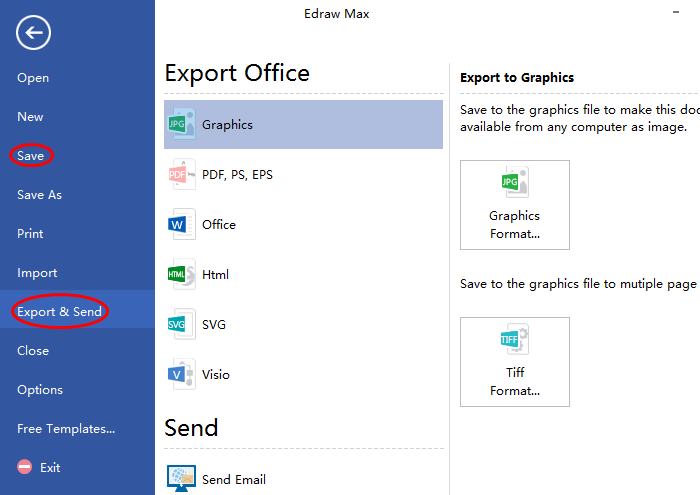 The reasons why Edraw quotation form software for Linux can stand out from so many form creators are it is so powerful and humanized. Following are part of detailed reasons. This Linux quotation form software is offered at a competitive low cost and users can enjoy a lifetime upgrade guarantee once they buy a lifetime license. It is a full suite tool that supports professionals with all aspects of their daily workflow except quotation forms, such as invoices, evaluation forms, sales forms, report forms, fax cover sheets, etc. 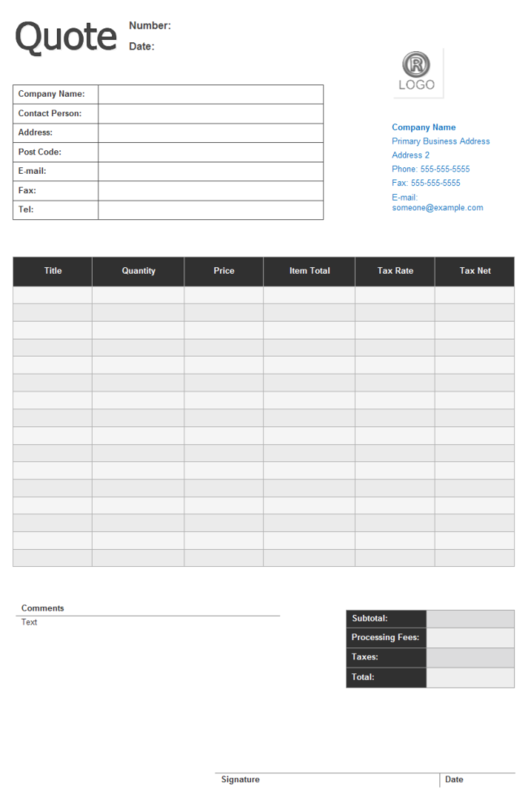 There are various well-designed quotation form templates to help users get started quickly and it is keeping increasing more. Numerous built-in form elements are provided for uses to drag and drop, even a green hand can create professional quotation forms with them. It supports enormous data insertion to make a small quotation form attractive and professional. Real-time collaboration and multiple file formats import & export enable users to share with colleagues and friends more conveniently. Edraw quotation form software for Linux provides all the symbols users may need during the drawing process. Below pictures shows part of the symbols. And it is such a humanized program that it also prepares a set of drawing tool in advance for users who need to create their own symbols. Below is a step-by-step guide on how to create a quotation form on Linux. 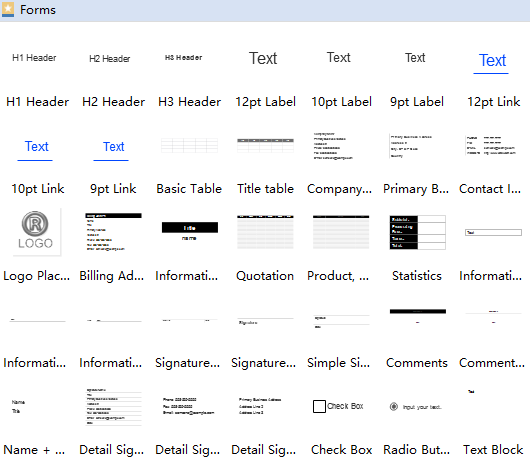 Click New on File menu, then choose Form and double click Quote Form icon under templates to start a blank drawing page. 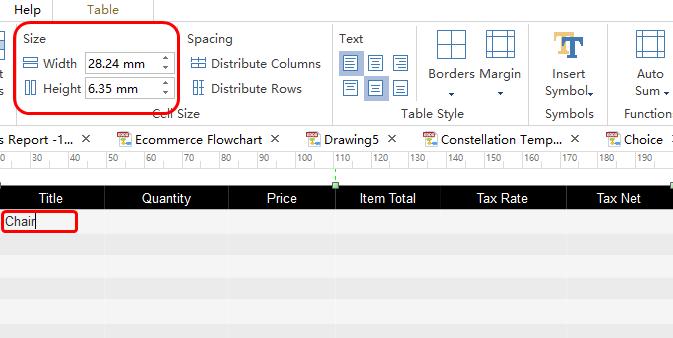 Drag a table from left Form library and drop on the drawing page or navigate to Insert menu and click Table to insert a table . Double click a cell to add content, then adjust table width and height to your needs. Now it’s time to complete necessary company information. Drag and drop a header, company logo, address, and contact information from left library and customize them to fit your own situations. Go to Page Layout and click Fit to Drawing to lay out the form. 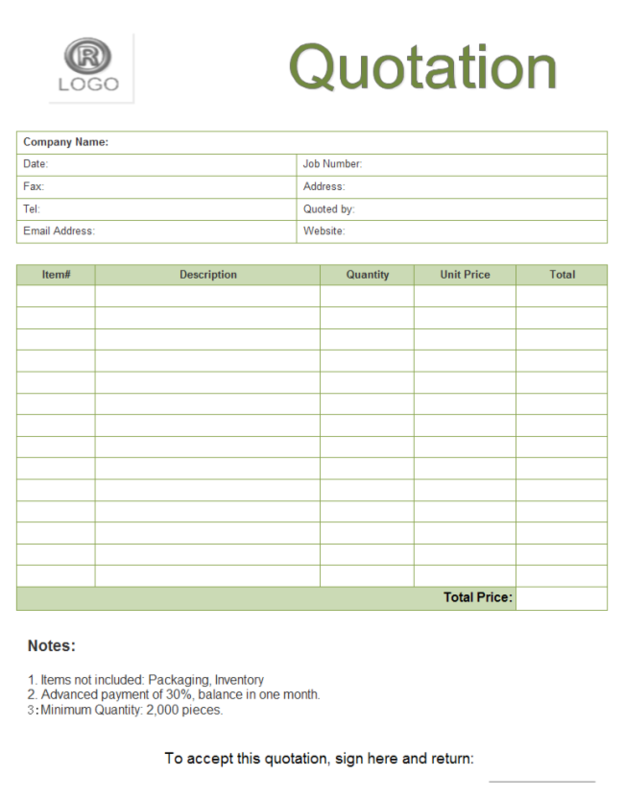 Then a professional quotation form is created successfully. Click Save on File tab to save the quotation form as the default .eddx format, or you can also select Export & Send under File to export the form to any formats that can be shared conveniently. 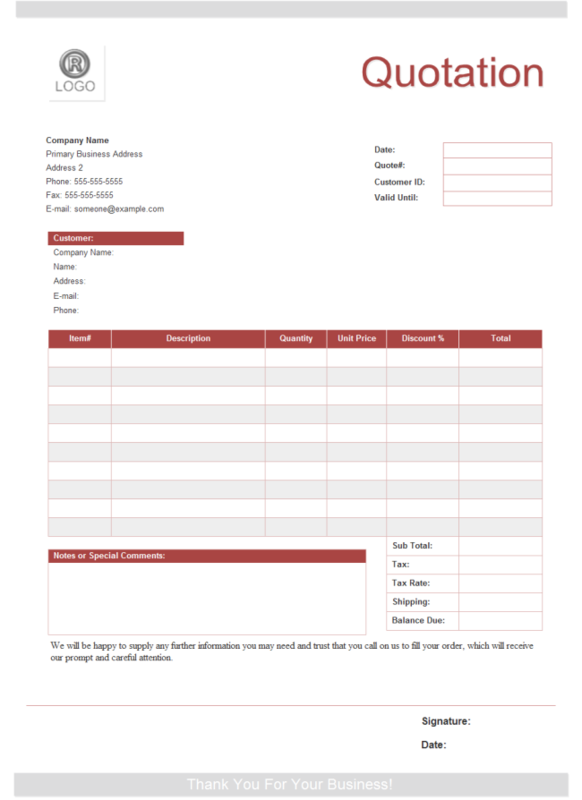 Following are three common types of quotation forms. All the forms are free to download and edit. Welcome to download and customize if any interest.